I’ve tired out plenty of wireless thermometers, and often the build quality lets them down, for me the simpler the better with a bit of kit like this, and let the software on the device do the majority of stuff. 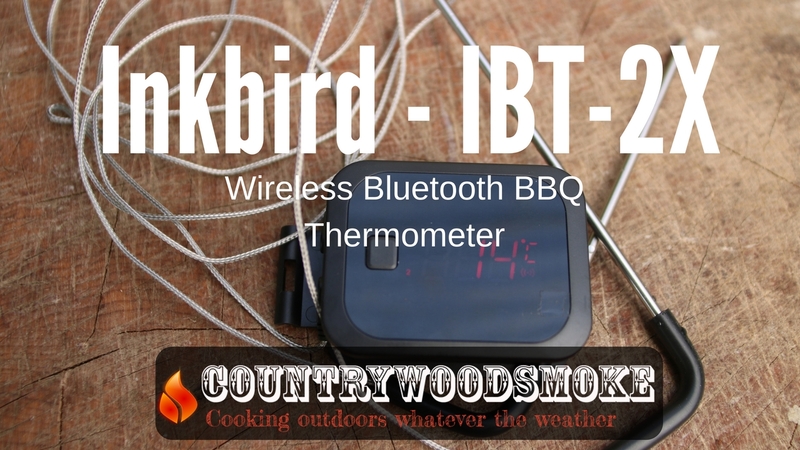 The Inkbird IBT-2X is certainly a good price for a bluetooth thermometer, coming in at £23.95 including delivery, simple, easy to use, very easy to connect to your bluetooth enabled device. 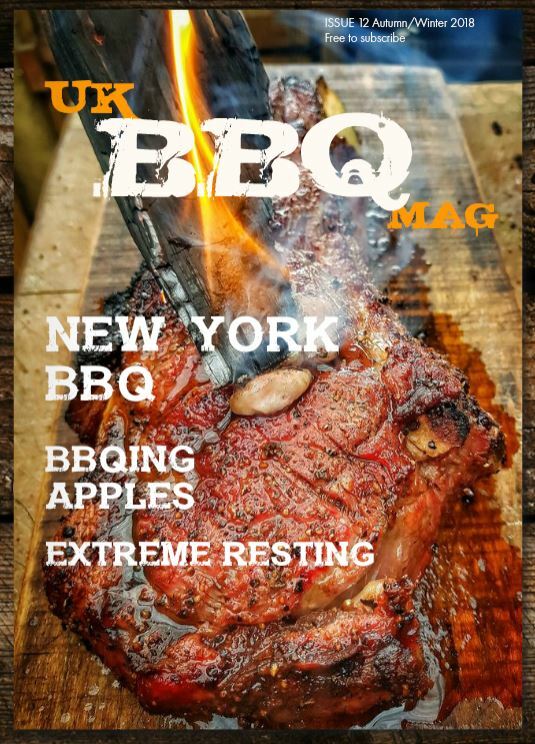 The BBQ Go app is available for IOS and Android, and is really really good, very simple and effective. You can monitor both channels on the main screen, set timers and alarms. The temperature alarms are all realistic and good temperatures, much better than many I’ve seen, but you can adjust these easy enough to your own preference, there are also range alarms for different types of cooking, BBQ, hot and cold smoking. There are charts for the temperatures that you can monitor long term cook trends with, you can toggle between the two probes easily, but I would have liked to have seen an option to have the two curves on the same graph. The probes are good quality stainless, with a rubber protector sleeve over the often delicate junction where the solid stainless meets the braided wire. The probes look of decent quality around the same as most probes. The main housing has a simple large display on the lightweight plasstic body, that alternates between the two probe readings, and can be adjusted from centigrade to fahrenheit from the app. The unit runs on 2 AAA batteries and battery life is yet to be tested. Bluetooth range is good, I walked 50 large paces up the garden before the signal started to drop out. There is a signal meter that shows you the signal strength on the app, and you get an alarm saying the signal has dropped out. The thermometer readings were very accurate and compared well with a calibrated Thermapen when tested with Ice water and boiling water. All in all a great simple bit of kit with a good app. My first test video is below, and a link to the Amazon page if you fancy buying one of these. At the moment they have a code for 15% off INKBIRD3 as well. NB. I was sent the Inkbird to try out, but was free to give my opinion on it.